Earlier this year, several major Hollywood studios, Amazon, and Netflix filed a lawsuit against Dragon Media Inc, branding it a supplier of pirate streaming devices. Under the flag of anti-piracy group ACE, the companies accused Dragon of using the Kodi media player in combination with pirate addons. As such, the company facilitates mass copyright infringement, it was argued. It didn’t take long for the legal pressure to have an effect. Soon after the lawsuit was filed Dragon Box halted its sales. The company indicated that it would either shut down or run a lawful business instead. The company eventually opted to continue its business by switching to a new subscription service called BlendTV. Although BlendTV’s website claimed that it has all necessary rights and permissions, the Hollywood studios clearly disagreed. Two months after this switch, Dragon Box informed its customers about another change. The company said it would stop offering BlendTV late November. That, however, was not the end of the matter. On December 11th, just hours after an unsuccessful mediation in court, Dragon Box relaunched with yet another service called “My TV Hub.” According to the Hollywood studios, this service is not legitimate either. Frustrated by these repeated ‘comebacks’ the plaintiffs went to court this week, hoping to halt all infringing activity. “With the freshly minted new My TV Hub service, Defendants continue to knowingly induce the widespread infringement of Plaintiffs’ Copyrighted Works by encouraging Dragon Box customers to access infringing streams through the latest iteration of the Dragon Box Service,” they inform the court. 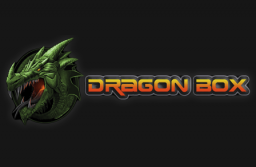 According to the movie companies, none of the services offered Dragon Box were legitimate. Instead, they accuse the vendor of playing a game of whac-a-mole. “Defendants’ game is clear: every time they are caught marketing an infringing service to their customers, Defendants pull that service down and substitute another in its place,” the plaintiffs inform the California federal court. 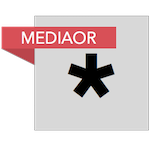 “My TV Hub is not licensed to stream Plaintiffs’ Copyrighted Works, just as Blend TV was not before it, and just as the addons Defendants originally utilized was not,” they add. The plaintiffs ask the court to issue a temporary restraining order, prohibiting the company from selling “My TV Hub” subscriptions. In addition, they don’t want Dragon Box to sell any service that offers copyrighted content provided by a third party. “Absent injunctive relief, Defendants will continue this game of Whac-a-Mole. Nothing short of a Temporary Restraining Order (‘TRO’) to enjoin this latest service offering, and all similar offerings, will cause Defendants to cease their flagrantly infringing conduct,” the movie companies state. It’s now up to the court to decide whether a restraining order is justified. At the time of writing, Dragon Box isn’t selling any boxes on its website. Remote controls and keyboards are still available, as well as CBD oil, which was added to the assortment recently. A copy of the application for a temporary restraining order is available here (pdf).